The curse was the direct result of disobedience to the commandment of God. We saw it in Genesis 3, and we will see it in many places in Scripture. 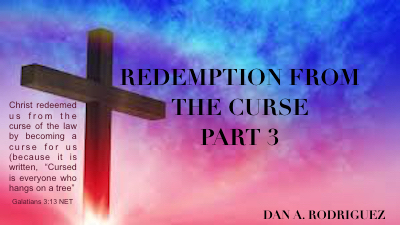 We have redemption from the curse (Galatians 3:13), so we can walk free from it. Faith and trust in Christ’s redemption is essential in order to receive and walk in what was purchased for us. Allow this podcast to put some “meat” on this “bare bones” outline! Be mightily blessed!